Home> Resource> iOS Transfer> How to Transfer Data to iPhone Xs/Xs Max/XR/8/7? Today, Apple has an big event - it has held a news conference for its new products, namely iPhone Xs, iPhone Xs Max and iPhone XR. People have waited for these products for a long time and cannot wait to get and enjoy the new iPhone. 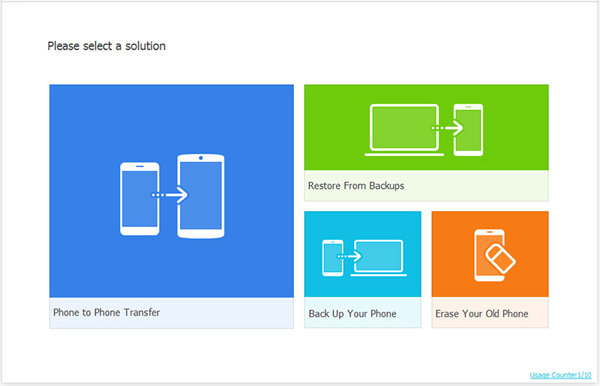 However, it is necessary for you to know how to transfer the data that backup either on your computer or original phone to your new device before you possess it so that you can use the phone more smoothly. If you do not get the solution, this article can help you. Part 2. How to Copy Data from Old Phone to iPhone Xs/Xs Max/XR? To transfer the data to iPhone Xs/Xs Max/XR from computer, you can choose a third-party software- iPhone Data Transfer to help you. 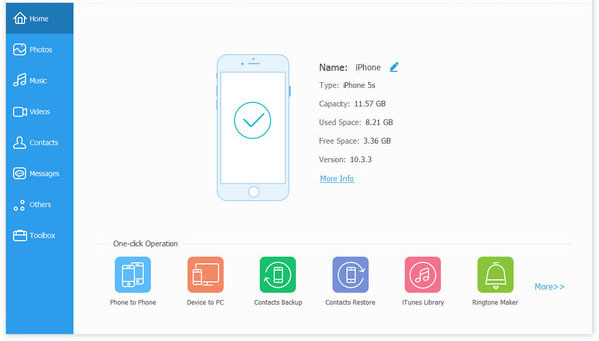 It is an all-round program which allows you to move data from/to iPhone within few clicks and the file types that it can transfer are various, including contacts, music, photos, videos, etc. In addition, it is compatible with all generations of iDevice like iPhone Xs, iPhone Xs Max, iPhone XR and so on. So it is advised to use this tool to copy your files. Below are the download links for this product, you can click the icon to download and install one of them on your computer according to need. And then you can follow the steps to accomplish the transmission. Step 1. Connect iPhone to computer with USB cable, then launch the tool on your computer and the program will detect your connected iPhone automatically. Step 2. Then you will see a menu on the top, just tap on the category that you wish to import files. After that, you'll enter it and preview the whole contents under the file types. Step 3. Click on "Import" button on the menu, then you can select the files on your computer and load them into your iPhone soon. How to Transfer Music from iPhone to Window 10? Another device you may use to backup the important data could be your old iPhone or Android mobile phone. 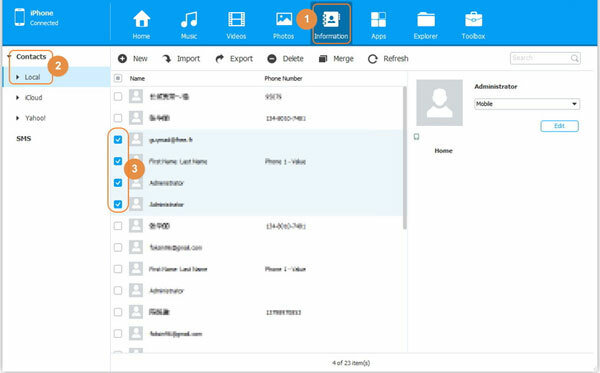 Compared with transferring data from computer, copying data from phone to phone would be more difficult and time-consuming. But don't worry, you can complete the process within several clicks by using Phone Transfer. 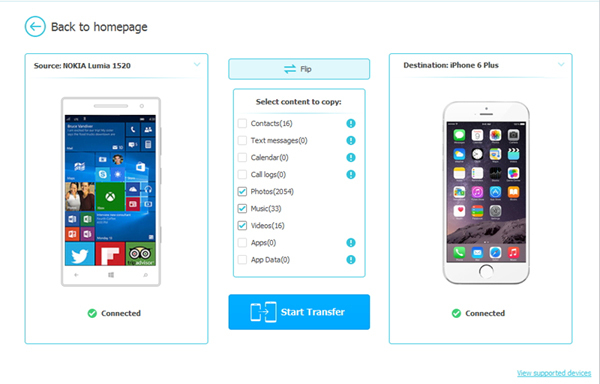 This program allows you to move files from one phone to other phone in no time. You can have a try. Step 1. You can connect your used phone and iPhone Xs/Xs Max/XR to the computer via USB cables now. Run the software and select the mode "Phone to Phone Transfer" directly. Step 2. The tool will detect these two devices automatically and then you will need to select the source device. Here either your old phone or iPhone Xs/Xs Max/XR will be the source device randomly. If the old one is the source device, you can move to the next step. If not, you need to click the "Flip" button to change their position till you can transfer data from the old device to iPhone. Step 3. 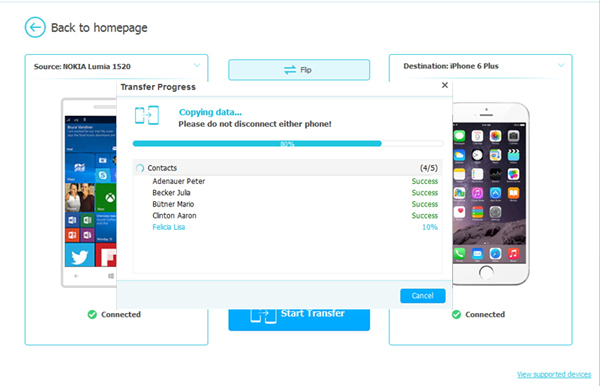 In this step, tick the files that you want to transfer in the middle of interface and click "Start Transfer" to begin to transfer data from your old phone to new iPhone. Let's Back up iPhone Media Files on Computer (Windows/Mac)!